The certificates formerly known as “diplomas” are back with a new name and a refreshed certificate template. The Computer Science Minor and the Business Administration Minor programs have been removed from the page because the “minors” do not make much sense without companion “majors” — both in name and in content. 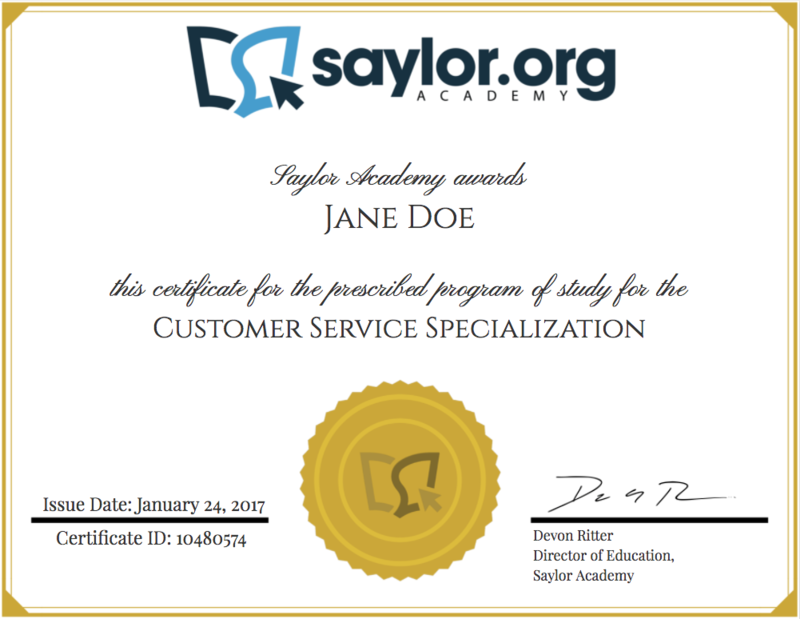 Program certificates for them can still be obtained, however, and you can find the sequence of courses in our Help Center, under Archive: Saylor Academy Minors. We would like to add more programs based on our catalog of courses, and for that, we turn the question to you. Considering especially programs that have already shown demand and value elsewhere (continuing education programs, other MOOC providers, etc. ), what collection of our existing courses would you like to be able to document with a single, shareable certificate? Takeaways from the CareerUp ExpoSaylor Higher Education Summit – The Agenda has Arrived!